If Housing Maintenance Office is a large enterprise, then without automation of registration of applications of the population, it is indispensable. On the one hand, this is the planning of the work of specialists, and on the other hand, the exclusion of scandals with the population and complaints to the president. We classify applications according to their urgency. Behind each level of urgency is fixed the time of its fulfillment. The time counted from the receipt of the application. Also, applications differ in the types of work. Behind each type of work is a list of stages of implementation. The dispatcher enters the beginning and the end of the execution of each stage. Service types and reference data of emergency services assigned to the application types and territory. Service specialists can connect to the database of applications. On their screens, they see the applications assigned to them for execution. Managers of the enterprise can be connected, to observe the progress of applications and application statistics. It is possible to record conversations, between dispatchers and users. The history of the application is stored in the system, long enough to be able to view it when there are any questions, complaints, and thanks. The desktop has more flexible and more reactive work and is very suitable for a system with a small number of users. 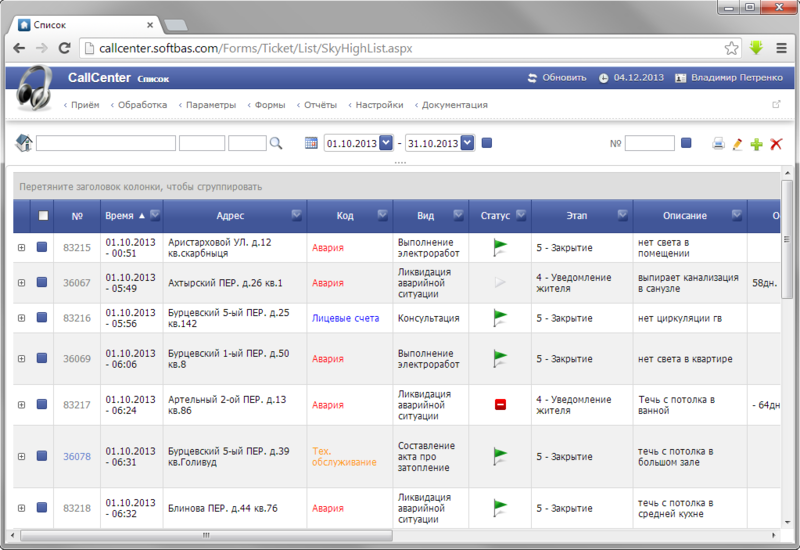 With a large number of users dispersed around the city, it is better to use the WEB interface. It is convenient from the organization access point of view to the system and data protection. 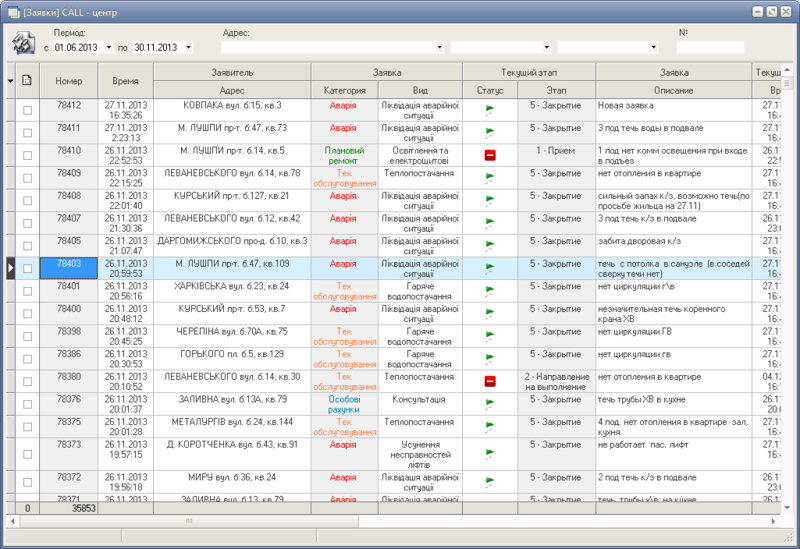 It does not impose any technical requirements on users′ computers.